Romain Grosjean is at risk of taking a one race ban as he heads into this weekend’s Russian Grand Prix. The Frenchman currently has nine points against his Superlicense after he copped a two-point penalty in Singapore for ignoring blue flags. 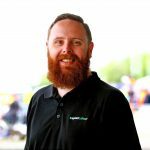 Drivers are allowed to accrue a total of 12 points against their license in a 12 month period before being handed a one race suspension. 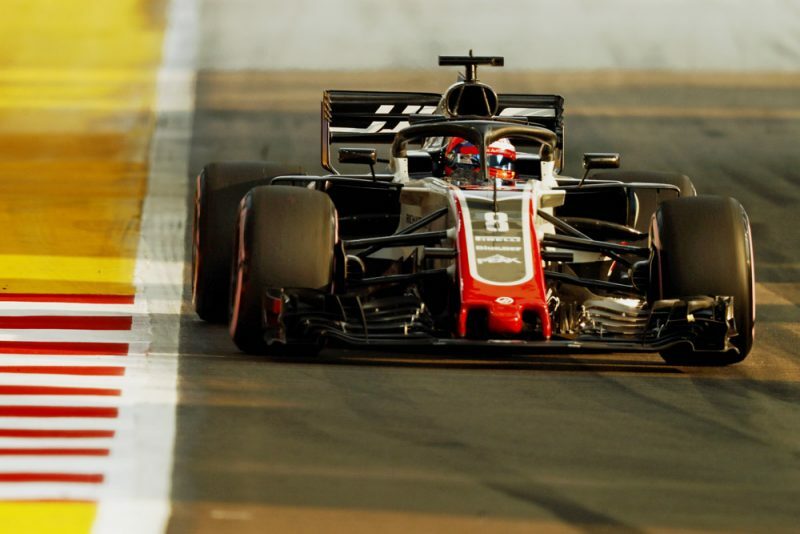 It leaves Grosjean with just three points in hand before he’s made to sit out for a race, a situation which has left his Haas team boss Guenther Steiner to admit his driver is on ‘thin ice’. “He should be very careful but I think he knows that,” Steiner said. Grosjean will have one of his penalty points handed back to him for the Mexican Grand Prix, though he must survive both the Russian and Japanese events before then. “It’s F1, and we still need to deliver a good performance,” Grosjean reasoned. “So I’ll make sure that I don’t do anything silly, but I’ll still be pushing and racing and doing my job. Though apologetic for holding up Lewis Hamilton in Singapore, the Haas driver believes stewards adding points to his license was harsh. He was also handed a five-second penalty to his race time, which saw him fall to 15th after crossing the line 13th. “I’m sorry I blocked Lewis,” he said. “It looked really bad because Sergey (Sirotkin) was bloody slow and we couldn’t do anything. So we lost a lot of time. “It was a tricky situation I got caught in. Sergey was six seconds slower than everyone, I couldn’t know at the time, so we were fighting and obviously the gap was big. “I think it was 11 mini sectors before I let Lewis by. It cost a lot of time, but it was just the pace we were doing. “Getting points there was harsh. I’m here to race, I’m here to get Haas into fourth position in the constructors’ championship. The situation has left Steiner calling for blue flags to be scrapped, suggesting doing so would have enhanced the Singapore Grand Prix. “If there would have been no blue flag, (Max) Verstappen would have caught Hamilton and we would have had a fight, and we would have had more action by scrapping the rule which only advantages the guy who is first anyway,” Steiner reasoned. “We keep on saying we need to get the field close, but what we are doing is saying the guy who has an advantage in front will get even more of an advantage by letting him through, so it’s effectively all for the rich,” he surmised. Formula 1 is back in action this weekend in Sochi for the Russian Grand Prix, with opening practice set to being at 1800 AEST on Friday evening.